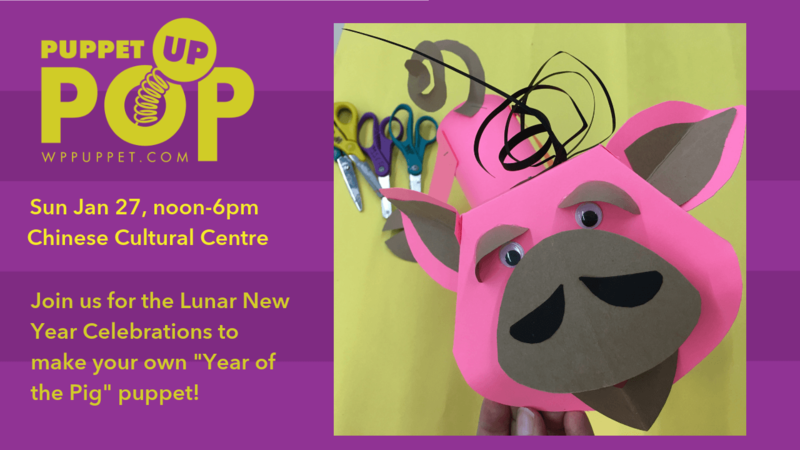 Celebrate the Chinese Lunar New Year and the upcoming Year of the Pig! Drop by our booth to make your own puppet! Previous PostVolunteer at our Casino Fundraiser!Next PostPuppet Pop-Up: Family Day!